We are running out of time to enjoy many of our favorite herbs + flowers before the world freezes, but we did get out to the Rainbow Garden one last time for the season. 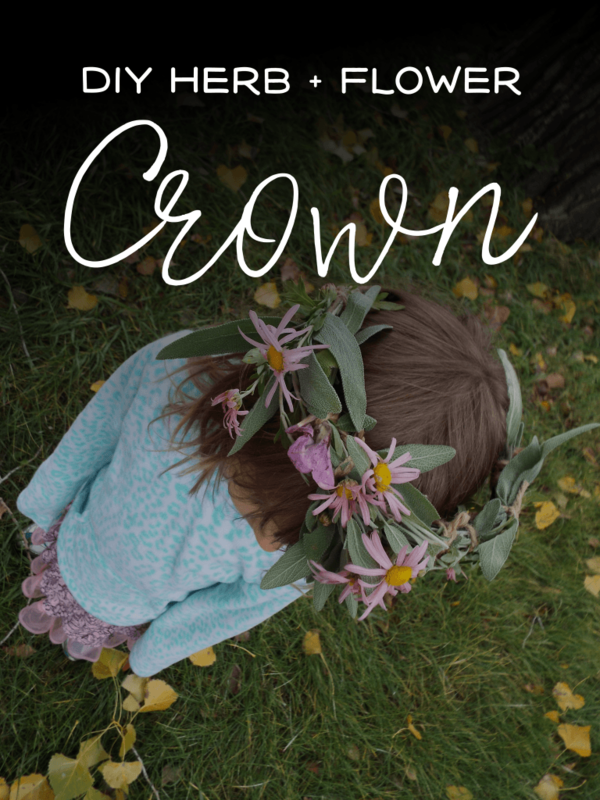 We made this beautiful crown – we're letting it dry out to serve as a keepsake. 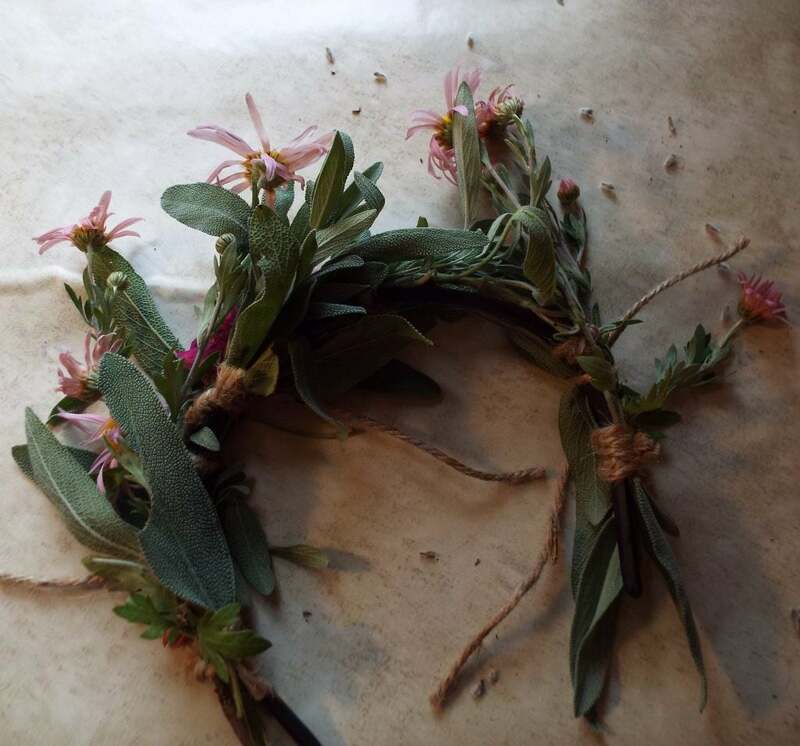 All we needed for our herb + flower crown was string, a bundle of herbs + flowers, and a headband. 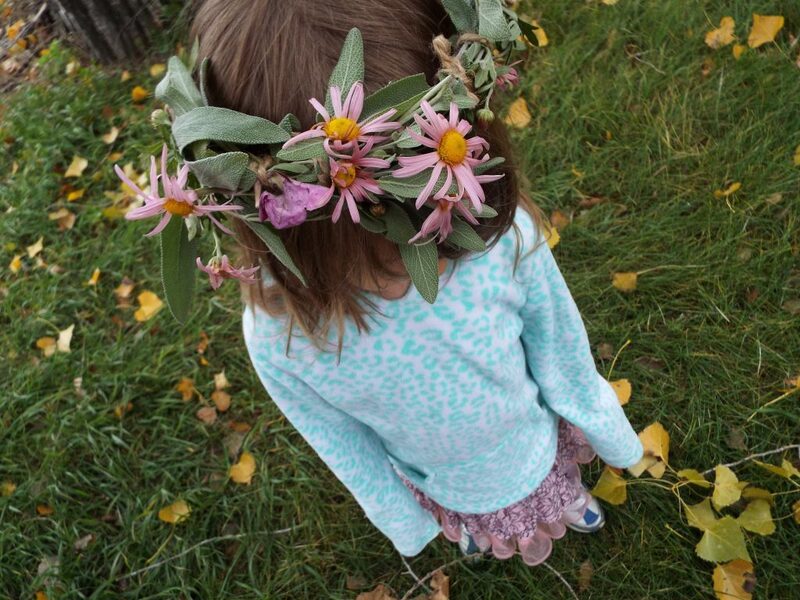 We used this headband, which I love because it bends into any shape + size you want. 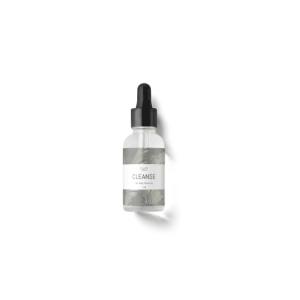 I didn't even realize that when I grabbed it at the store – a happy accident. Creating the crown is pretty simple. 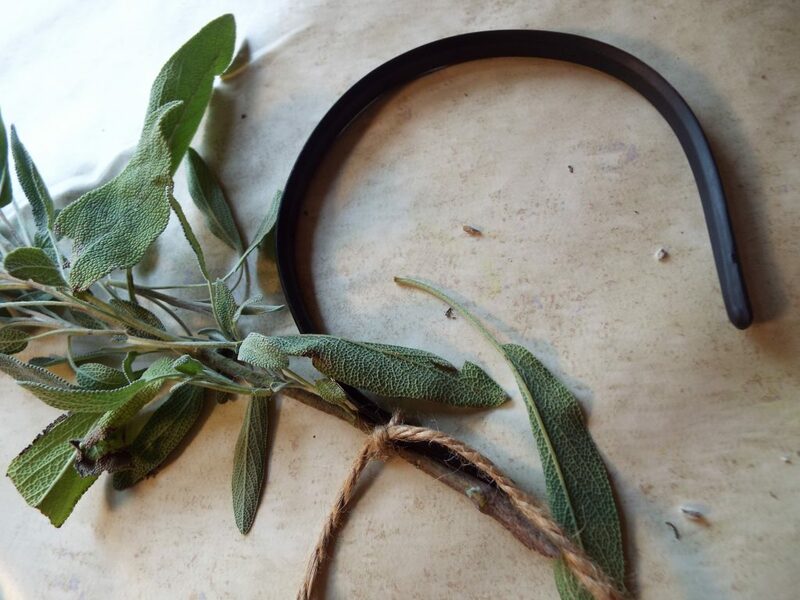 Start attaching herbs to the headband with string. We used a thick natural twine, but you could use fishing line or colorful string depending on how you wanted it to look. Use fresh herbs – they'll be flexible enough to conform to the shape you want. It helps to alternate the direction you attach the plants in for a fuller look. 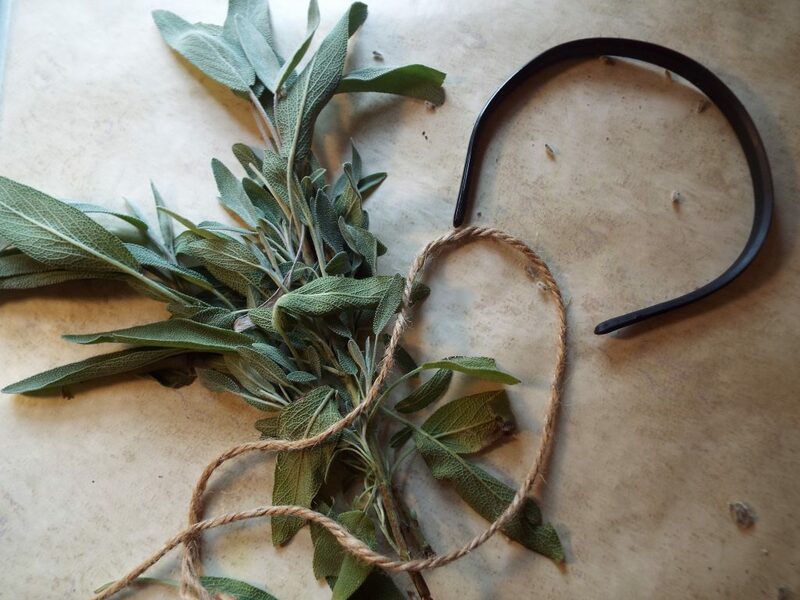 Continue attaching the plants to the headband until you like the way it looks. Tie flowers and longer leaves down close so they are more secure. Trim any excess string and you are all set! You can wear the crown right away. You can also hang it in a cool, well ventilated area to dry it out. If you store it in a box, it can last for a really long time! Ah! Housefull of girls and of course we will be trying this! Thank you! Sooo pretty and fun!! 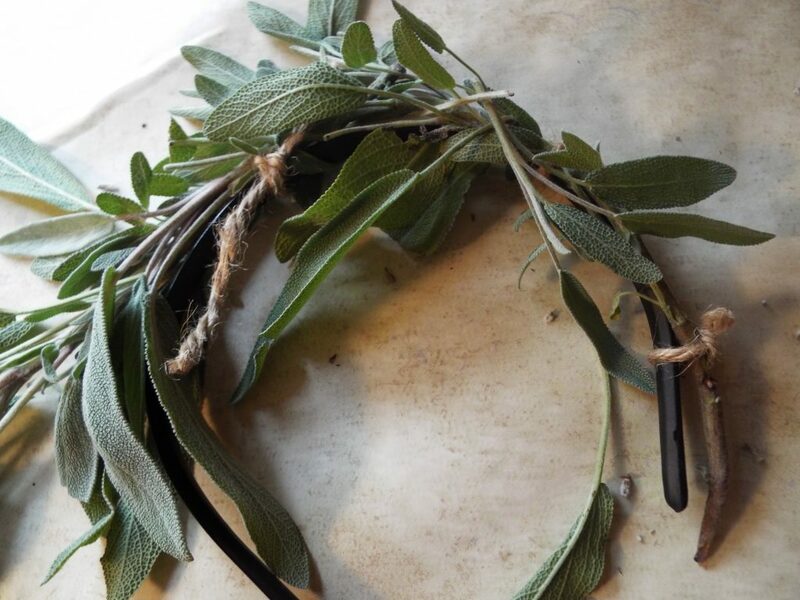 I love sage used like this. Thank you for the herbal inspiration! That is adorable. My grand daughters would love these!